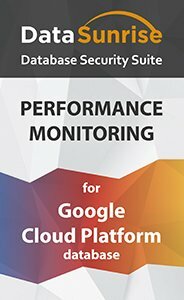 When disruptions occur, the functional user-friendly Database Performance Monitoring Tools for Google Cloud SQL offered by DataSunrise can be easily adapted to detect what Google Cloud SQL performance malfunctions may result from and prevent their recurrence in the future. Having analyzed a query log, you may identify any redundant queries or the ones that have not been expected by a developer. The SQL command list can help to highlight DBMS performance problems Google Cloud SQL encounters and find solutions to them. The query result log examination enables to spot application vulnerabilities in a timely fashion. This is especially convenient, when application logging is not sufficient and an extra one is required, or when it is not provided at all. There is also an ability to trace the dynamics of query change in time, the execution frequency of INSERT/UPDATE/DELETE/SELECT types, diagrams illustrating how they change in time, as well as other information related to Google Cloud SQL performance monitoring. Obtain high DBMS performance and accuracy with DataSunrise Database Performance Monitoring. Convenient tools are sufficient for all your needs in tracing and correcting faults in Google Cloud SQL processes, as there is no need in any extra monitoring mechanisms.